The world is yours. | Oh Look! It's A Blog! junk. – (Tab Tatham) – half man(nequin). junk. – (Tab Tatham) – old car door. blue. 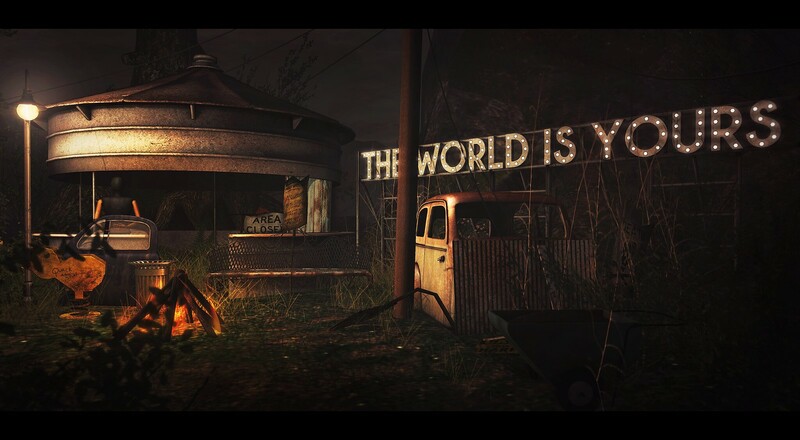 This entry was posted in iheartslFeed, Uncategorized and tagged 6 Republic, 6Republic, 7, abandoned, blog, Deathrow Designs, Decor, DRD, event, Hive, Home, Junk, Mesh, Outdoor, Second Life, Seven Emporium, SL, The Hive, We're CLOSED, Woods. Bookmark the permalink. ← I think there’s a flaw in my code.